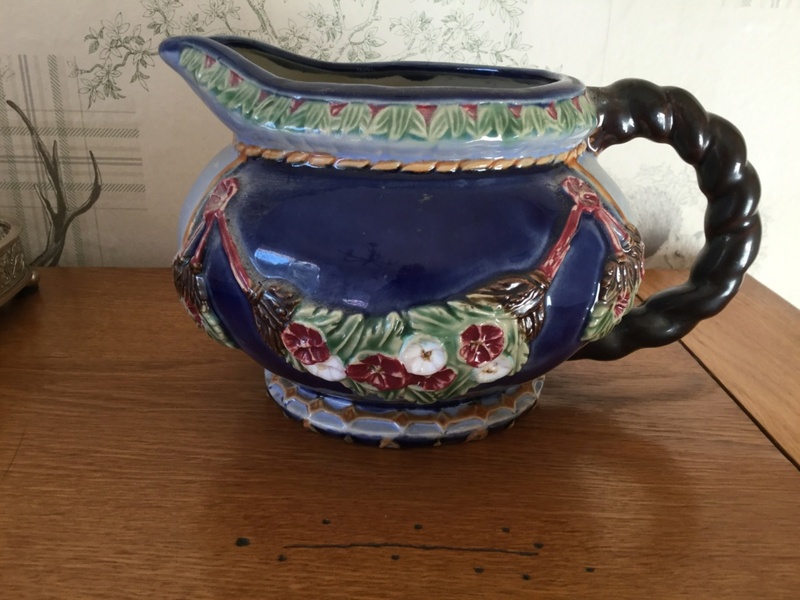 Nice majolica jug can anyone tell me anything about it. 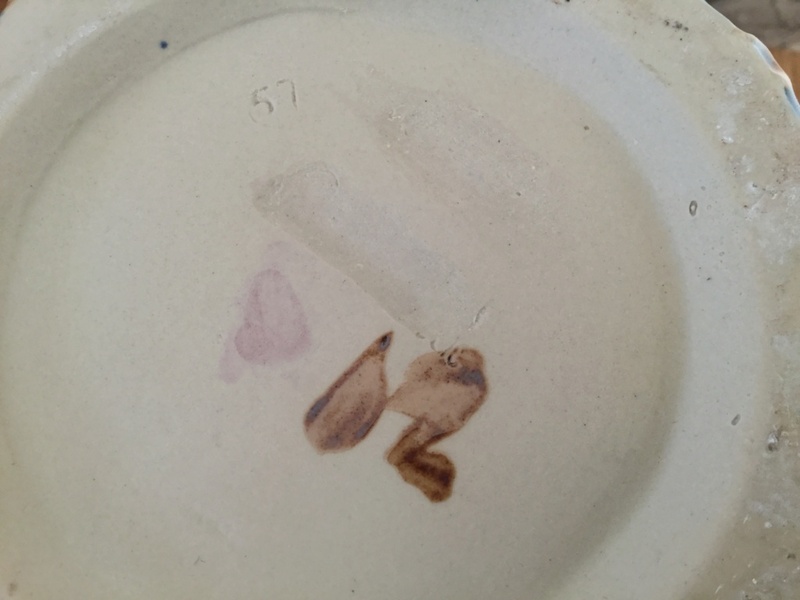 It almost looks like it had some marks but they were rubbed out before firing. Thank you. Ahh that would make sense it’s very clean on the bottom, but very nice all the same and very heavy. Thank you. I did an image search and found some on the worthpoint site ID'd as CBK Ltd. Wan Jiang, China. Wish I had better news. Ahh thank you so 1991 not 1891 lol. Someone will love it.